What better way to start June than with a music festival? This gem in Cypress River comes complete with all the fixings – plus some! Join into game night and show what you’ve got when it comes to bocci ball, Belgian bowling, wheelbarrow races and more. After the festivities, a campfire song sing-a-long will commence to wrap up the night. The fun continues on Saturday with all-day music from acts like Joey Landreth, The Honeysliders and Bullrider. 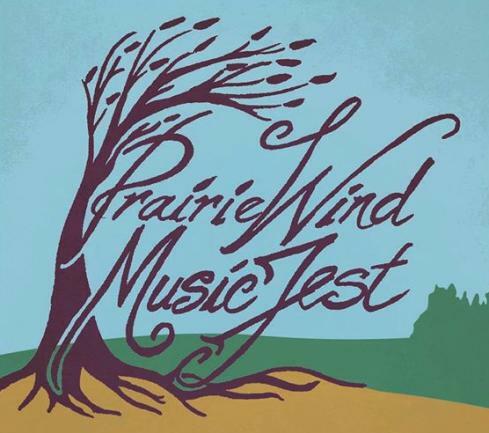 You won’t want to miss the Prairie Wind Music Fest! Need to get away from it all? Twin River Travel and Wild Path are teaming up to offer you the opportunity to do just that. Head into the Nopiming Wilderness with Ash Bourgeois for a weekend of yoga, meditation and vision workshops. Connect with your breath, enjoy the pristine landscapes and cultivate your presence. Twin River Travel provides almost everything, including transport, boats, food, gear, and an experienced guide. With a weekend full of activities that showcase the diversity that is the LGBTTQ community, the Pride Festival brings together peoples from all walks of life with activities that include a flag raising at City Hall, sports tournaments, barbecues, art shows, live entertainment across the city, and much more. Want to try some of the best cheese in the Manitoba, and maybe even the world? The New Bothwell Wine & Cheese night is back! Head to the New Bothwell Community Centre to sample an array of cheese and wine pairings by Bothwell Cheese and Banville & Jones Wine Co. Discover the West End’s rich cultural diversity through spectacular murals. Wander from mural to mural and learn about the history, people, businesses and restaurants of this diverse area of Winnipeg. Expect to gain insight into the West End’s heritage, community, commerce and cuisine, all while taking in gorgeous works of art. Peanuts, crackerjacks – you know the drill. Show your hometown pride as the Winnipeg Goldeyes take on the Sioux Falls Canaries at the May 29 Home Opener. The week continues with matches against the Canaries until the weekend shakes things up with more home games against the Lincoln Saltdogs. Watch the boys hit it out of the park and stick around for the post-game fireworks. Summer just wouldn’t be complete without a ball game! Photo opportunities are on every corner of the historic Exchange District, and with this tour you won’t miss a single one. Receive a one-hour photography lesson and get tips from a guest professional photographer at PrairieView School of Photography. Afterward, you will wander the Exchange and snap away. It’s been awhile since Winnipeg has seen the likes of Picasso. In fact, this is Manitoba’s first major showcase of work by Pablo Picasso in decades. Head to the Winnipeg Art Gallery to see two exhibits, Picasso in Canada and Picasso: Man and Beast, that highlight the many sides of the most well known artist in the history of Western art. 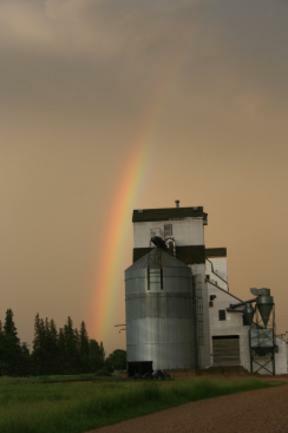 Get hands on in the ol’ fashioned way with threshing, sawmill, blacksmithing, rope making and corn grinding on Heritage Day at the Pembina Threshermen’s Museum. All buildings are open including the General Store where ice cream treats and lunch can be found. Small festival, big talent. With the goal of keeping homemade music alive in Southern Manitoba, the Back Forty Folk Festival features local musicians from all over the province. In addition to great music, attendees can enjoy yoga, food vendors and an artisan market. Wander the Exchange District in search of incredible art at First Fridays. First Fridays is dedicated to bringing together artists, artist run centres, galleries, businesses and the public for a greater understanding, appreciation and promotion of the arts in the Exchange area. Experience a sneak peek of special First Fridays activities taking place on the Design Quarter First Friday Tour. Shakespeare in the Ruins is back with another amazing production that will move you – literally! Follow along with the classic tale of star-crossed lovers and feuding families set against the striking backdrop of the St. Norbert Trappist Monastery Ruins. They’re baaaack! Dinosaurs Alive!® is an immersive and comprehensive dinosaur experience that allows visitors to step back in time to the prehistoric era as the lifelike dinosaurs move and roar throughout the zoo. Learn about your favourite dinosaurs or just enjoy the thrill of seeing these beasts in action. Don’t miss it! If 16 life-sized dinosaurs just isn’t enough, then head on over to the Manitoba Museum’s newly renovated Alloway Hall for its World’s Giant Dinosaurs exhibit. This exhibit will feature a collection of some of the largest dinosaurs ever. There will be fossils, casts, videos and robotics to help you envision just what a world filled with dinosaurs looked like. Avid tabletop gamers are in for a weekend of miniatures, roleplaying, card and board games at Brandon’s PrairieCon. All of those Friday night game nights will finally come in handy – just check out the HUGE list of gaming opportunities! Prepare for a competition that is equal parts loud, fierce and exciting. Rumble in the Valley has one goal in mind: to shake the ground you walk on as 40 competitors go head to head for thousands of dollars in prize money. Daily at 10:30 a.m. and 1:30 p.m.
Another Winnipeg Whiteout is hitting the city at Table for 1200 more. Taste cuisine made by local chefs Mandel Hitzer (deer+almond) and Ben Kramer while dining at one of the longest dining tables on record. The location is kept secret until hours before the event, but if last year’s Legislative Building spread is any indication of what’s to come, we are sure guests will not be disappointed. Fort la Reine is officially open for the season! After exploring the 28 heritage sites, check out the current travelling exhibition: Panache: Caribous and other Cervids of Canada. The exhibition looks at the world of the Woodland Caribou and other Cervidae (moose, reindeer, wapiti and deer) that have been entwined in our history and ecology since time immemorial.